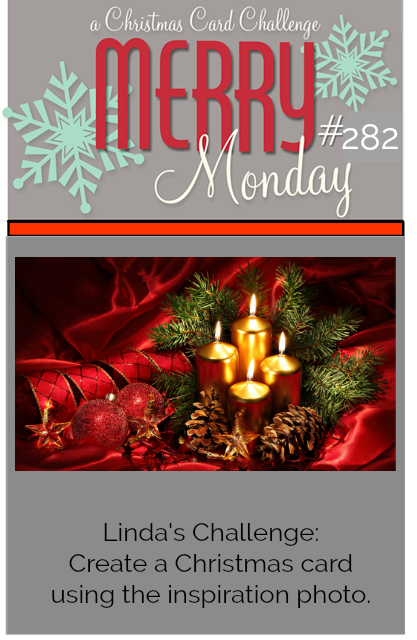 We have a new Merry Monday Christmas card challenge, Linda is our hostess and her challenge is to Create a Christmas card using the inspiration photo. Pinecones anyone.... When I saw the inspiration image my first thought was I have this designer paper covered in pinecones. In one corner it has this fun college so I used that as my top panel. The paper has an almost vintage theme so I used a vintage themed sentiment to match. The top panel and sentiment are popped up with foam tape. I added some twine as an embellishment. Supplies: Cream and brown cardstock, Designer Paper-Bo Bunny, Cornish Heritage Farms. That pinecone paper is fabulous! I love the natural feeling of this card, with the twine, paper , and sentiment! Gorgeous patterned paper, Nina - just love all the creams and browns! Perfect with the vintage sentiment and twine!! 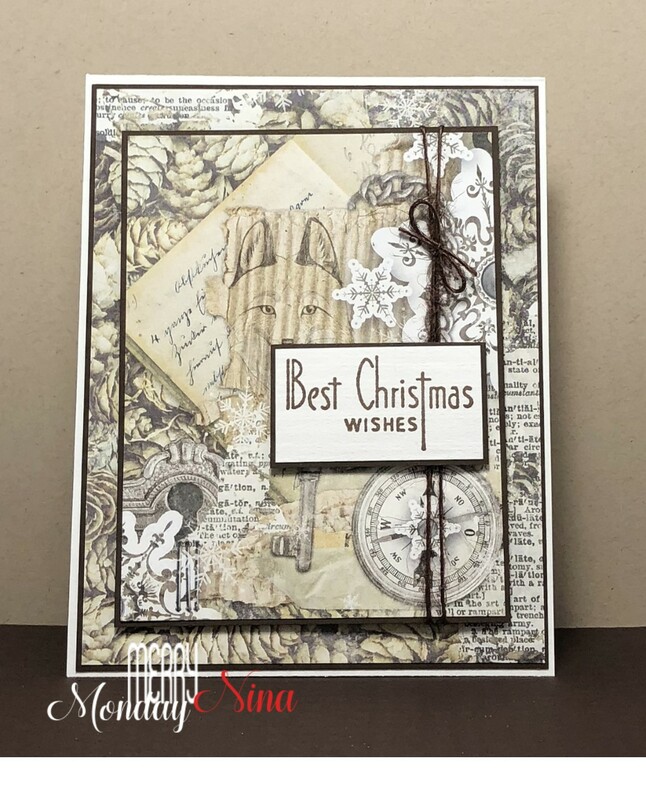 Lovely vintage style card Nina. Love the pretty papers. Lovely take on the photo, Nina. So pretty. Hope you have a great week. Great way to use the pine cones as inspiration Nina! Stunning card...just love your take on the inspiration! So beautiful. 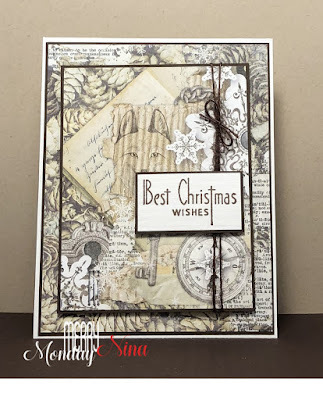 Love this vintage feeling Christmas card, Nina! Great take on the challenge!